This instrument is just beautiful. SKU: 00096 Categories: Violins, Italian Collection, Contemporary. 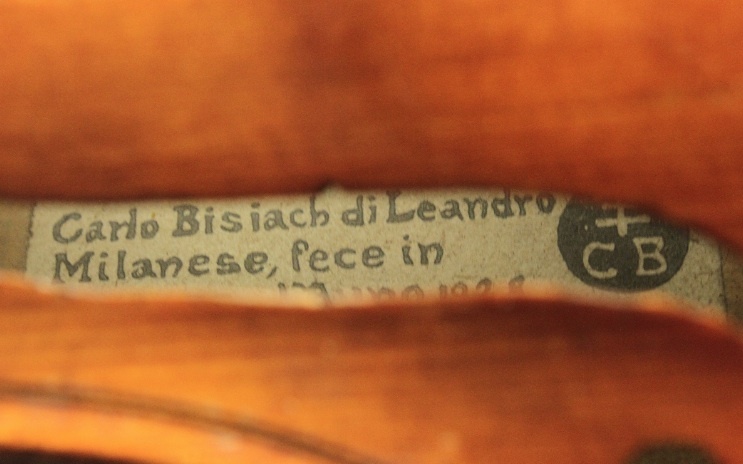 Tags: antique violin, Carlo Bisiach, Carlo Bisiach di Leandro, italian, old violin, vintage violin, violin. This instrument is just beautiful. The wood is of the highest quality, highly attractive and with excellent tonal properties. then it has been covered with the the most exquisite glowing golden-orange varnish which has a deep transparency. 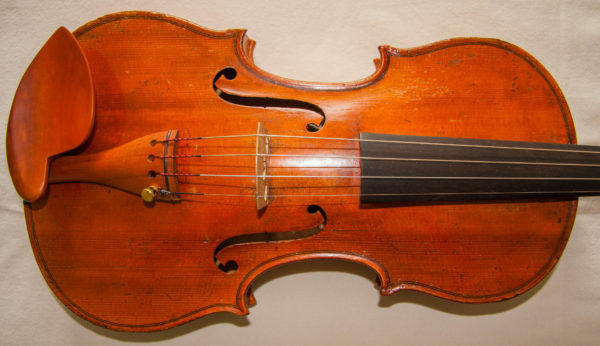 It is like someone splashed sunshine all over this violin and when a bow is placed to the strings it radiates its golden brilliance with every stroke of the bow. It is a very rare combination of physical beauty and stunning sound all wrapped up in one small package. 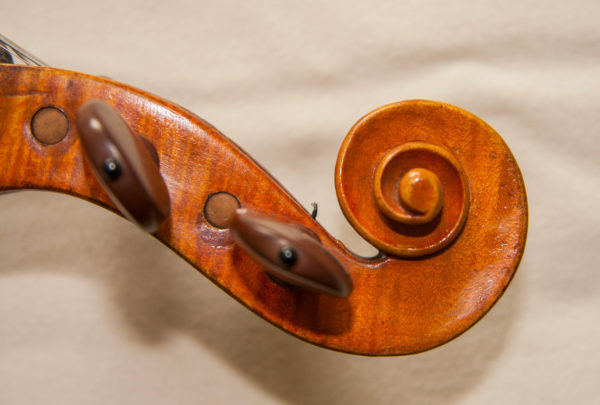 This is a violin that gives you a sound that radiates brilliance whilst maintaining a mature degree of warmth, and has both clean response and good projection. 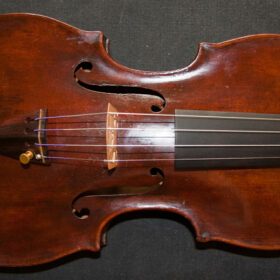 It has a full sound and a nice evenness across the strings. 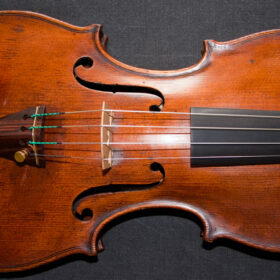 With such great tonal qualities and a beautiful ease of playing you just want to play and play some more. Furthermore this great example of early 20th Century craftsmanship remains in wonderful condition with only a few chips and nice wear to the varnish. 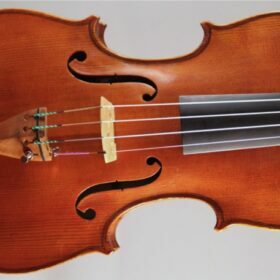 It has all the hallmarks of the highest quality and with its truly impressive sound it is definitely a professional level violin. 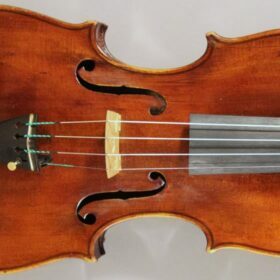 A combination of properties like this are usually only found in ‘named’ Italian instruments costing in excess of £100,000. 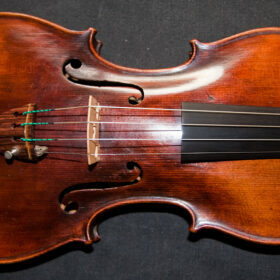 This violin has been fitted with highest quality Pirastro Obligato strings, which match this violin really nicely, giving warmth to its naturally brilliant tone. The fingerboard has been professionally polished and new fixtures added to compliment the finish of the instrument. 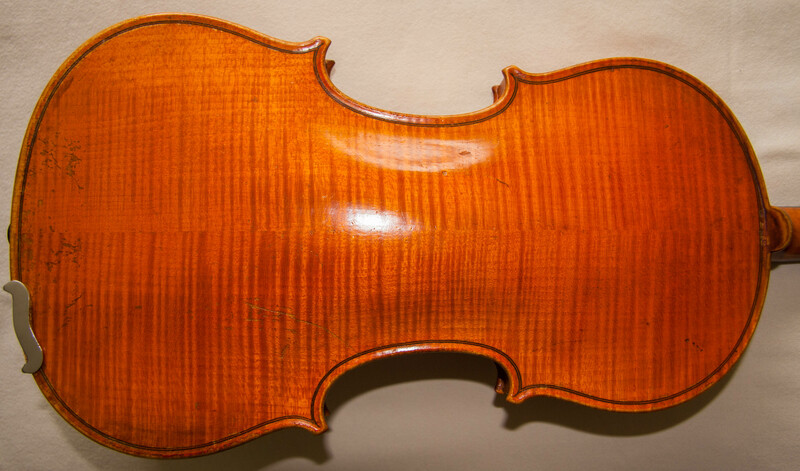 As musicians ourselves, at Virtuosi Violins we know the importance to you of sound quality and playability, that is why every violin is very carefully selected for its tonal properties and after any necessary restoration is professionally set up for comfort and ease of playing as well as sound optimization. With such comfort, ease of playing and wonderful tone long hours of practice fly by and you will eagerly look forward to every practice session with renewed vigour and enthusiasm. A great tone can give you the edge for any grades, orchestra auditions, competitions or public performances too.